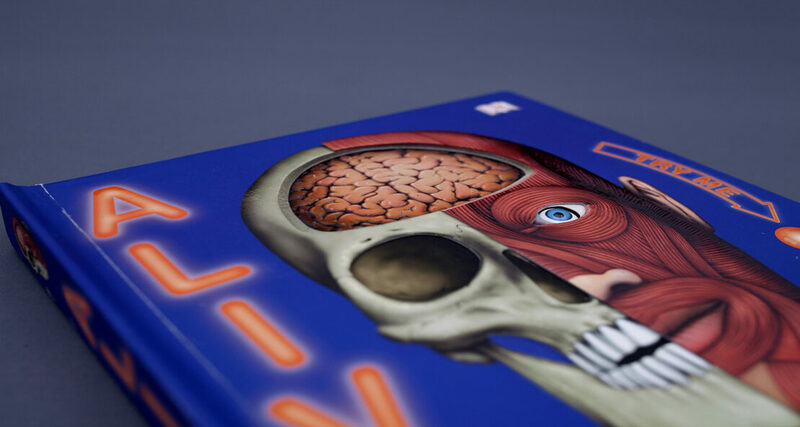 This innovative book looks at the body in all its dimensions… . 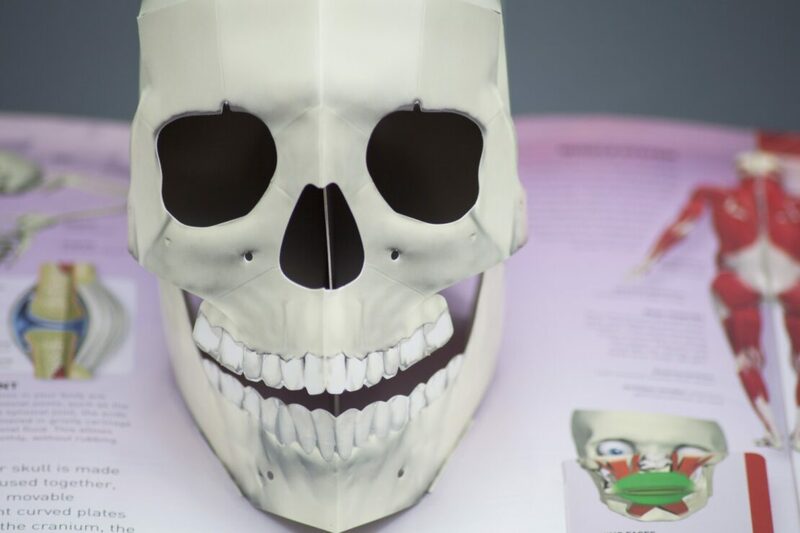 Open it up to take a fascinating journey around the vital organs, through layers of acetate. 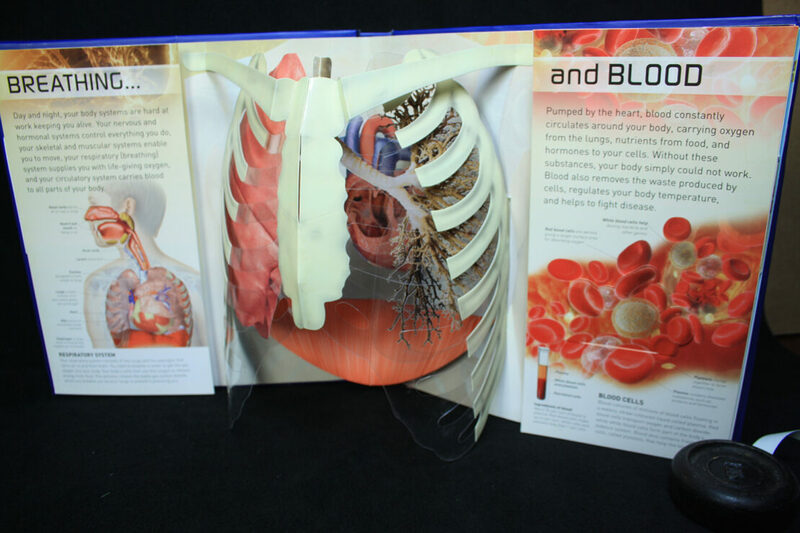 Watch the diaphragm move, check out the 3D ribcage and see the skeleton jump off the page, there’s also a light-up cover and an incredible beating heart! I’m not your normal kind of book. I’m special. I’m ALIVE! Open me up and take a heart-thumping, muscle-flexing, nerve-tingling inside look at what makes me and YOU alive! Want to hear my heart beat and see my diaphragm move? Turn the page and prepare to be amazed. Want to get down to my bare bones? See my skeleton in incredible 3D! How about getting close to all the gooey vital organs? Peel away the layers and get a hands-on understanding of what makes me tick. 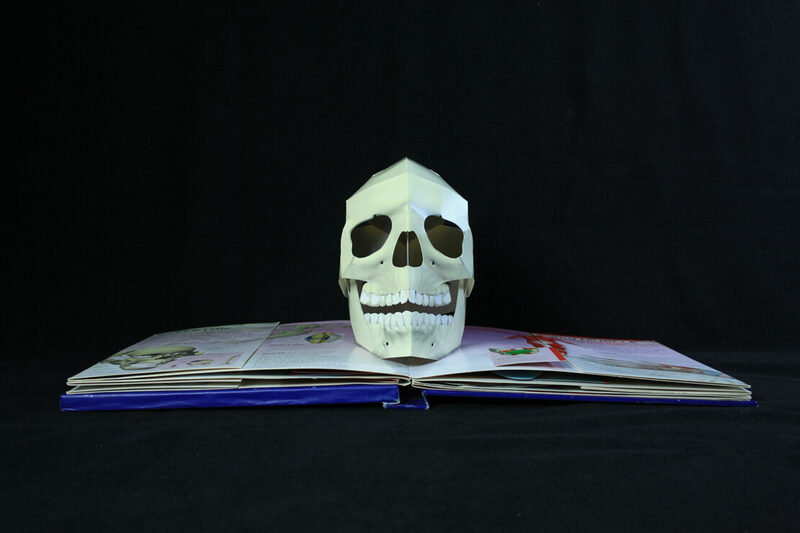 Open up my light-up brain cover to find stupendous pop-ups, see-through pages, flaps, and tabs. I’m the ultimate encounter with all the fun, fleshy, FANTASTIC stuff happening right under the skin.